A large cake to feed 30 people. the cake board decorated as lego. 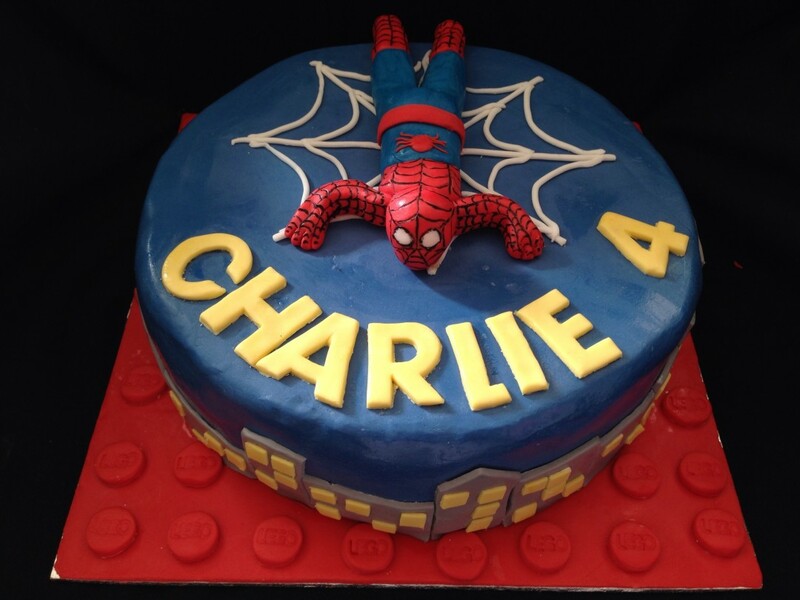 With the cake decorated with buildings, a web and spiderman!